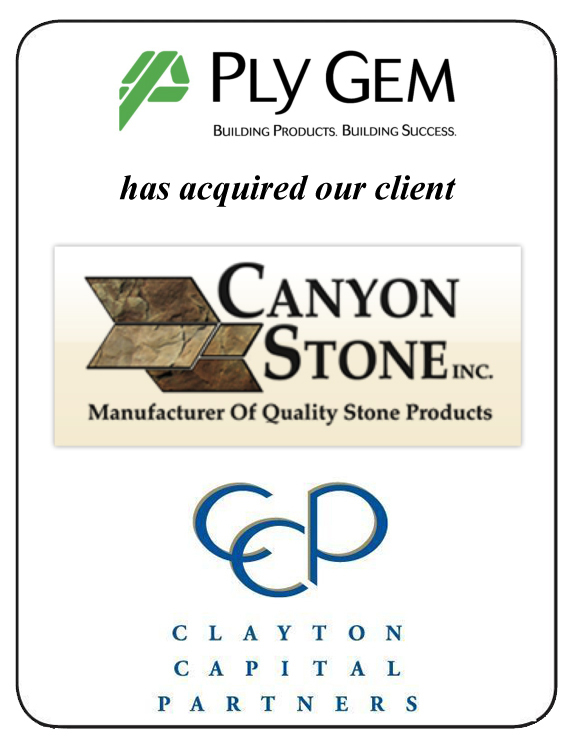 Clayton Capital Partners is pleased to announce the sale of its client, Canyon Stone to Ply Gem Industries. Ply Gem Industries, (www.plygem.com) based in Cary, NC, is a leading North American manufacturer of exterior building products for the residential construction market. Canyon Stone (www.canyonstone.com) based in Kansas City, MO installs and manufactures cultured stone veneer for the residential and commercial markets.